Trained in China with a Master's degree from Zhejiang Chinese Medical University, and currently pursuing a PhD at the renowned Nanjing University of Chinese Medicine, I bring the wisdom of Traditional Chinese Medicine practices to modern science. I offer Acupuncture, Chinese Medicine, Tuina, Qigong and Meditation. 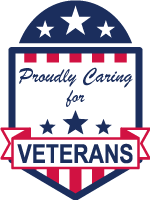 Now Proudly Serving our Veterans ! based modern medicine, to provide a unique transformational healing experience. By giving equal attention to treating both the root and the branch, or the causes and the manifestations of disease patterns, we seek not only to treat the symptoms, but more importantly, to treat the underlying causes of the symptoms. My approach is particularly successful for health concerns for which western medicine has no answer. There is famous saying in ancient Chinese medical literature that states, “The superior physician has no sick patients.” By restoring and maintaining harmony and balance, we can maintain wellness and prevent disease. To this end, we integrate both Eastern and Western methods during the diagnostic procedure, in order to determine the best treatment protocol. We then employ the time tested, evidence based treatment methods of acupuncture, moxibustion, tuina (Chinese Medical Massage), cupping, herbal medicine, heat therapy, and other methods to achieve the most optimal results. More importantly, I care, and pledge to give you my best as a compassionate and caring health care provider.